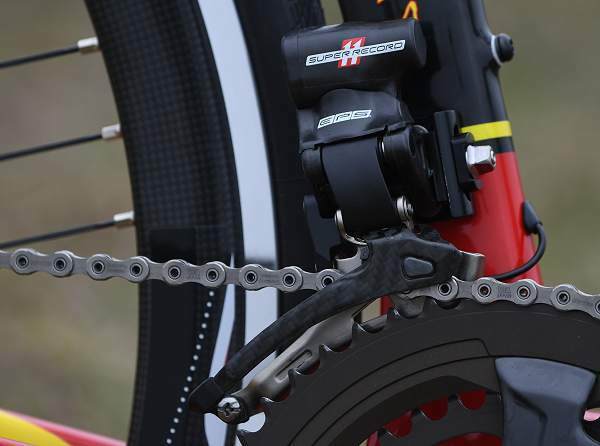 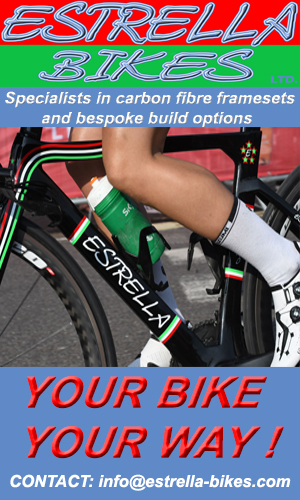 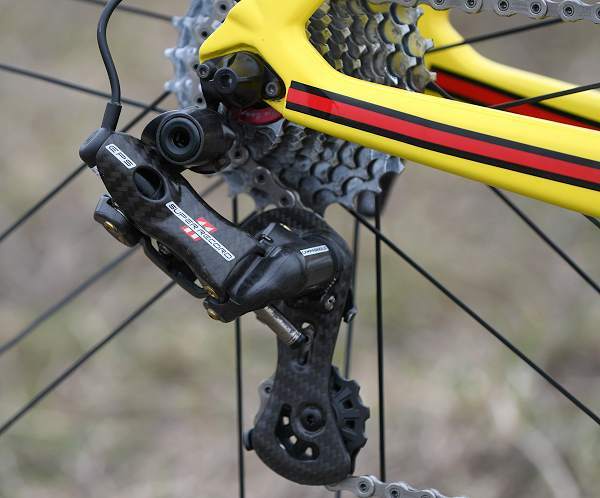 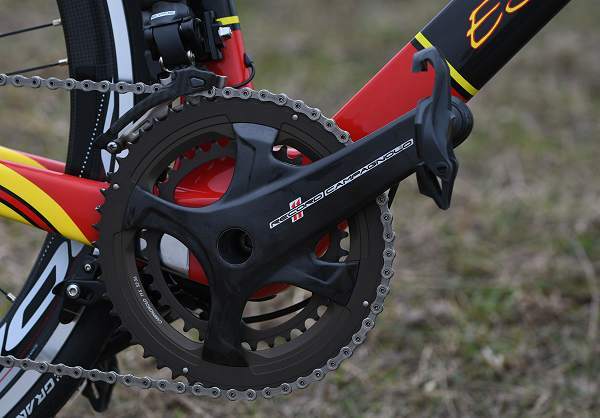 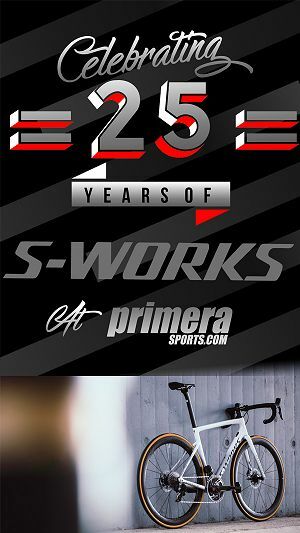 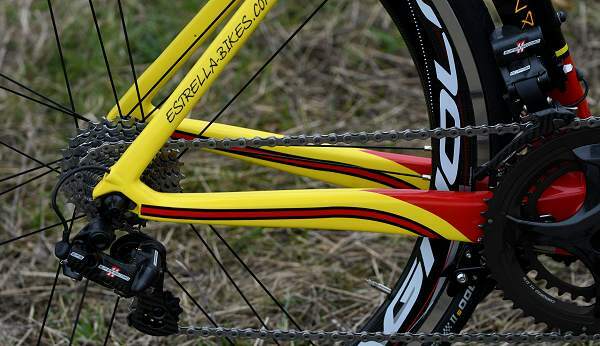 Estrella show us a bike dripping with Campagnolo EPS and so new they haven’t given it a name yet! 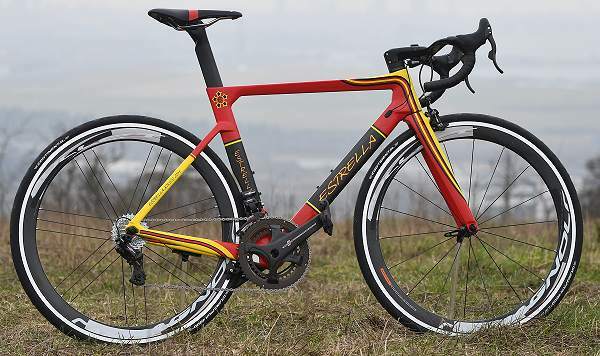 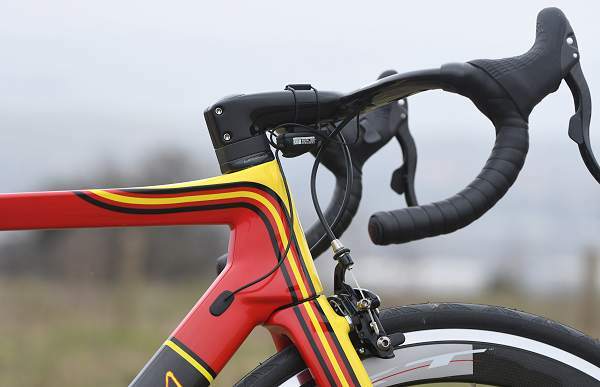 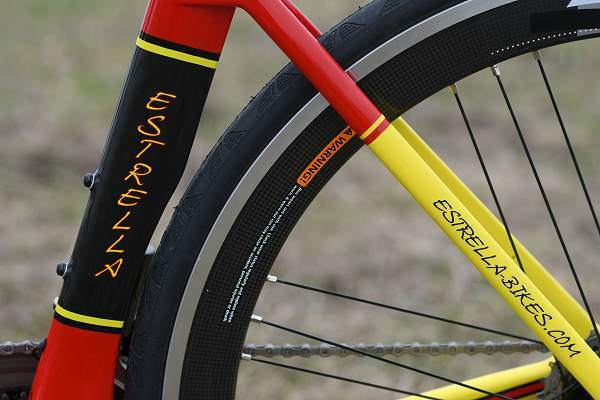 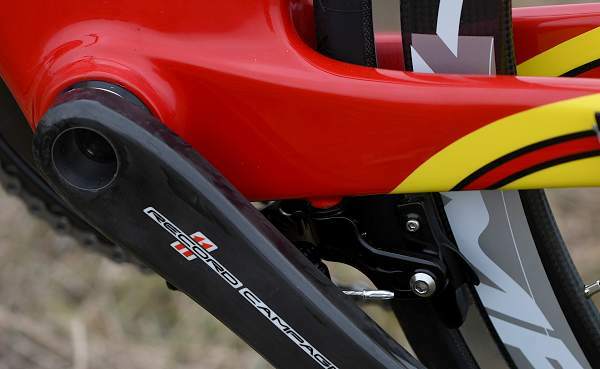 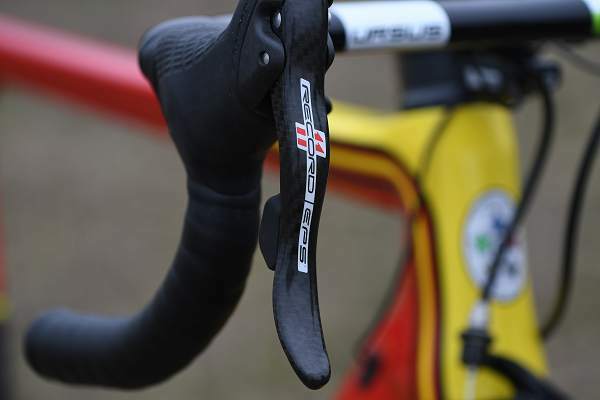 This red/black/yellow bike is Estrella’s new aero road bike. 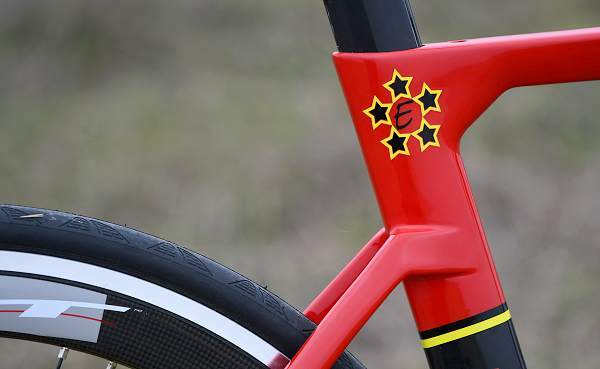 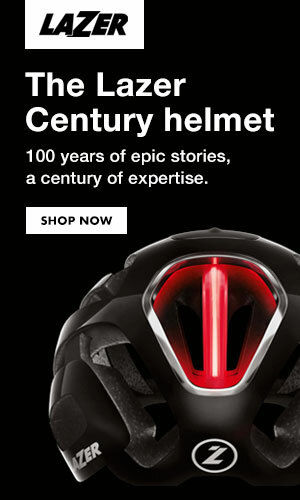 It’s so new that it doesn’t even have a name yet says brand founder Darren Kenny. 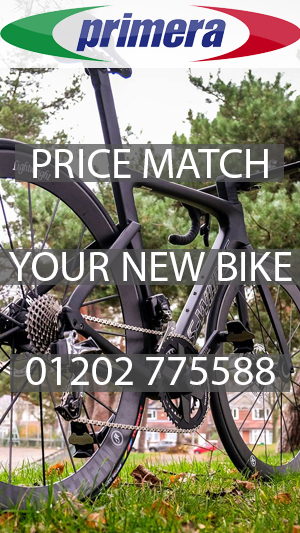 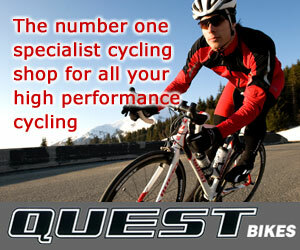 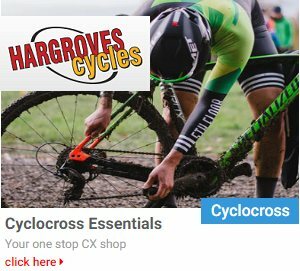 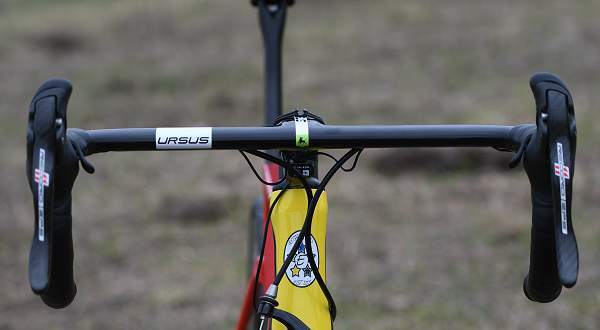 “We’ve teamed it up with the beautiful one piece bars from Ursus an Italian company making fabulous carbon wheels (also available from us) as well as these bars” added Darren. 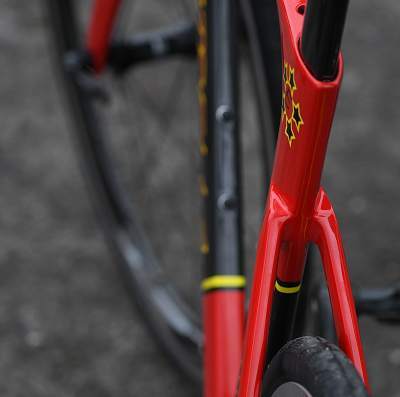 Darren says “build options are really whatever you want and it’s available in the red/yellow shown as well as our usual red/green combo.